You may have read out post a while back about USBs. If you missed it, i’ll summarise briefly for you. Basically, after being married for two whole years we realised that we had never once looked at (or used) our own wedding USB. We wondered whether we were unique, or if this was commonplace. So we asked a whole load of people for their thoughts and experiences too. Mostly we asked our clients. The gorgeous people who’ve been booking us for the last 7 or so years. The vast majority echoed what we’d thought. That no one actually looks at their USBs. Most reported that they preferred the convenience of having an online gallery. Which means that there are around 200 USBs sitting around, unused and unloved. What a waste. So we decided to do something about it. Last year, in line with our pledge to become more green in our business, we began to phase out USBs. 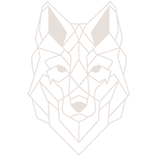 In order to prevent unnecessary waste, we no longer offer USBs as standard within our base packages. However, we do appreciate that some couples still want a tangible item from their wedding. For some, that is a USB. As such, new for this season, we are pleased to introduce USB memory boxes. Rather than offering a bog standard USB we wanted to ensure that we were offering something which was not only environmentally friendly but also useful. So we spent literal days and weeks researching. When I say we, I mean me, but Sam was there silently offering support whilst editing! I searched and searched and I kept stumbling on the same things. The same square, flatish branded wooden boxes. The same flip lid magnetic USB cases. It’s not what we wanted. They fit the purpose of presenting a USB, some were even made from recycled or biodegradable materials, but they’d still end up in a drawer somewhere. But eventually, after some thinking outside of the box, it hit me. A box. A memory box. A USB memory box – Something you can actually use! 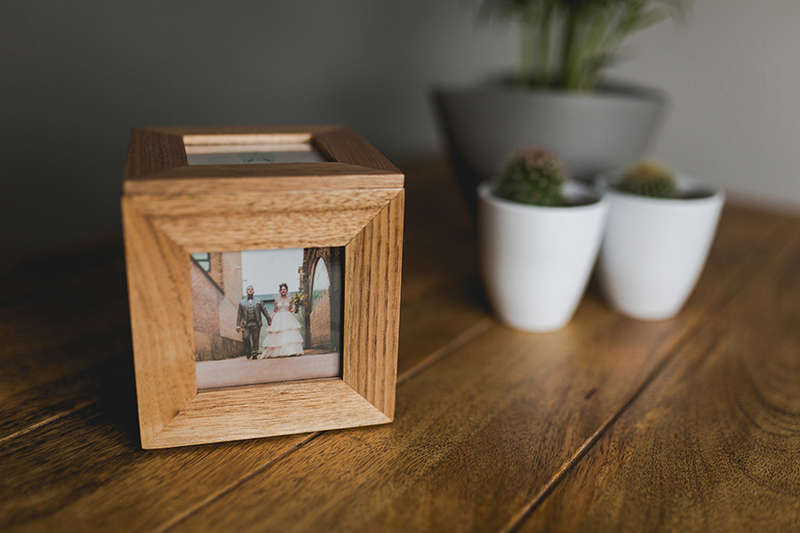 Once the idea of a keepsake box that would be useful day to day came to mind, everything else fell into place really and soon enough I had sourced these gorgeous oak picture boxes. 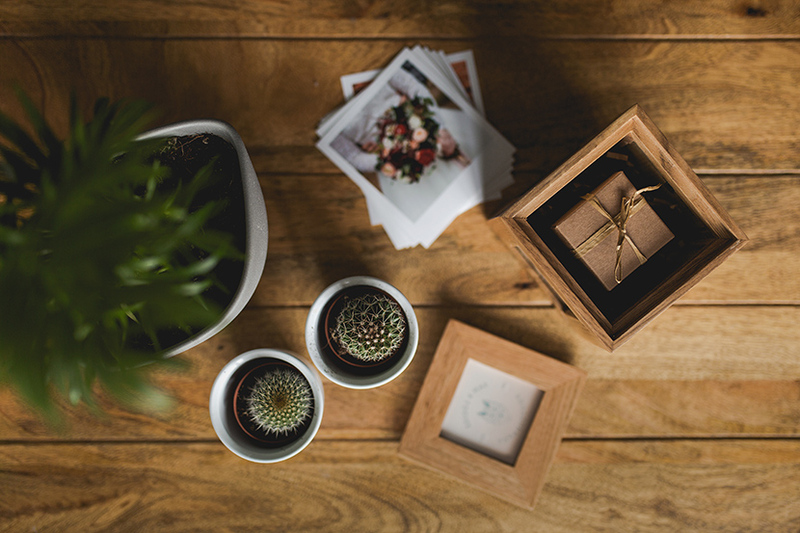 Allowing you to display 5 photographs in total, these boxes are stylish, contemporary and will slip seamlessly into most homes decor. Photographs can be easily replaced. You can also replace our branding sheet on top. Inside the box itself you’ll find your USB. Housed separately in a miniature kraft box and hand tied in raffia- totally biodegradable packaging. Alongside the USB you’ll also receive a selection of prints and a couple of other goodies from us. The box is attractive, durable and practical. You’ll never have to worry about losing your USB or misplacing it, because you can simply keep it in the box. Our hope is that the boxes will be useful. Not just an after thought. 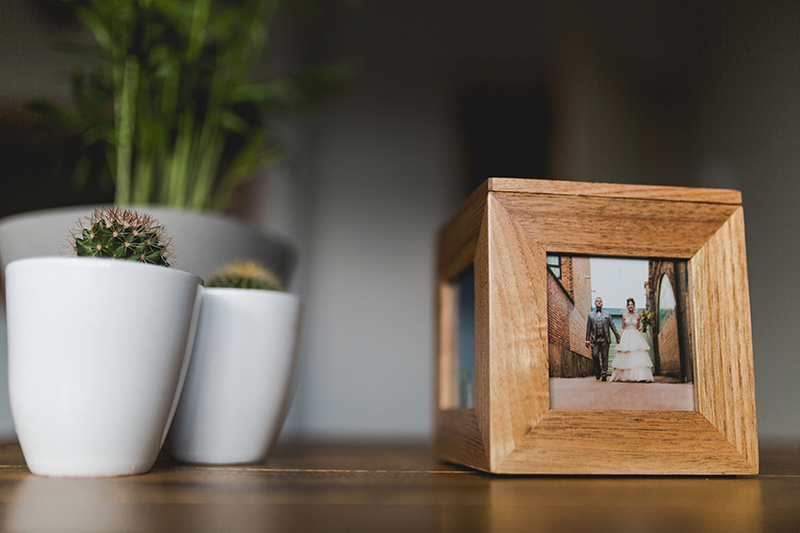 There are several reasons why you may choose to add a USB memory box to your wedding photography package. Even with access to your full resolution files via your online gallery. I will run through some of them below for you. They’re a great keepsake. Digital delivery is all well and good, but sometimes it’s nice to feel like you’re getting “stuff” too. They’re a ready made back up. As wonderful as online galleries are, they wont be live forever. We can only guarantee that your online gallery will be live for 12 months. As such, it is essential that you have a back up copy of your images. Many of us don’t own a PC or laptop anymore and use our phones or tablets for internet access. This is great when it comes to viewing photos in an online gallery, but downloading around 1000 full size files to a tablet probably wont be an option. Even if you do own a PC or Laptop, a full galleries worth of photos will eat up a LOT of space. Having a USB is a great memory saver. It makes sharing your photos with techno-phobes a little easier. We all know someone who repels technology. Aunt, parent, grandma. You can bet that someone will want to see the photos but wont be able to wrap their head around the idea of an online gallery. Simply take the USB to them and voila. Hopefully. If you wish to source your own albums or prints, you already have a portable copy of your images at hand and ready to go. Just take it along to your lab of choice and you’re set. They’re internet proof. Sometimes things happen. Servers go down, you move house and cant get broadband installed fo 3 weeks- whatever it is, USBs don’t rely on you having wifi or an internet connection. So you can still access your photos if you need to, even with no internet access. Q. We have already booked our wedding with you/ you’ve already photographed our wedding, can we still order one? A. Yes! But be quick. As these are a new product we have only ordered 15 initially to try and gauge demand. Q. Do the photos come pre loaded on the USB? A. Yes, we load your full gallery onto the USB for you before sending the memory box out to you. All the files are high resolution files. Q. Do we get to choose which photos are displayed in the memory box? A. Not initially, no. 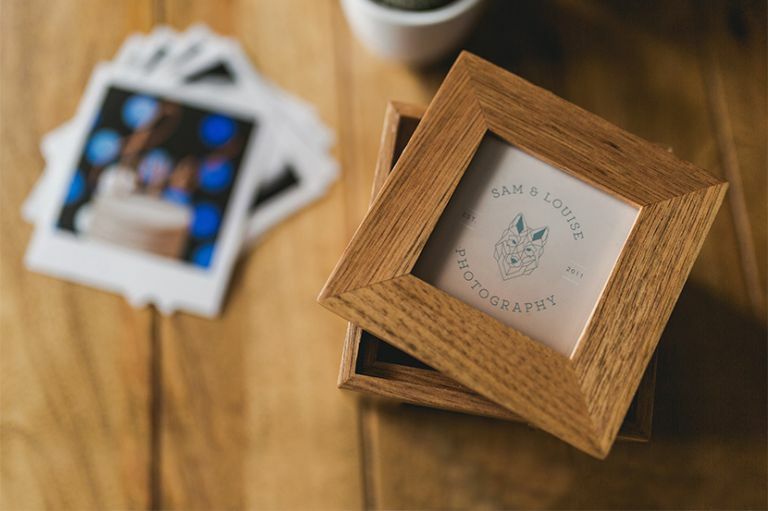 We pre-prepare the memory box for you with 4 photographs so that it arrives complete and pretty for you. We’d hate to send you something looking like an unfinished project! However, the photographs are very easily changeable and you can switch out our choices for your own. Q. We’d like to order more than one to give as gifts, is this possible? A. Yes, you are welcome to order as many as you’d like. Duplicates are available at a discounted rate of 20% off each additional box. If you are interested in other products, you may also wish to consider our new range of fine art wedding albums. Be sure to follow us on social media to hear about new products first.